Microsoft chief Satya Nadella will meet industry leaders like Mahindra Group Chairman Anand Mahindra, Axis Bank head Shikha Sharma and Tata Starbucks CEO Avani Davda during his one-day visit to India on November 5. The India-born CEO will also deliver a keynote address at ‘Microsoft’s Future Unleashed’ event here that will bring together 3,000 industry thought leaders, enterprise heads, developers and entrepreneurs. 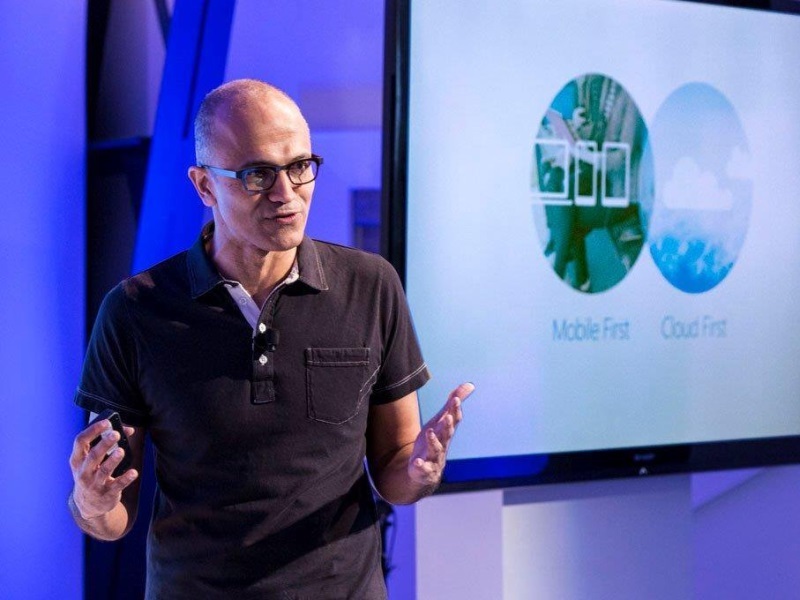 “Satya is in India on a one-day visit to Mumbai to deliver a keynote at Microsoft’s Future Unleashed. During the day, he is expected to meet key industry leaders like Anand Mahindra, Shikha Sharma, Mukund Rajan, Brand Custodian & Spokesperson, Tata Group, among others,” Microsoft India General Manager (Marketing and Operations) Tyler Bryson told PTI. He will also be meeting key government stakeholders and Microsoft customers and partners during the event, he added. Last week, Facebook chief Mark Zuckerberg also visited India and addressed a Townhall at IIT-Delhi. Apart from meeting business and political leaders, the young billionaire also spent time with developers. Talking about the Microsoft event, Bryson said the two-day event will explore how technology is empowering people and organisations across sectors like government, education, banks, hospitals, eCommerce, entertainment and manufacturing. “In line with the same, we will be making a range of announcements during the two days (November 5-6),” he said. Scott Guthrie, Executive Vice President of Cloud and Enterprise Group at Microsoft Corporation will also deliver a keynote speech. There will also be a series of keynotes and inspirational talks by industry luminaries, policy makers and business leaders, he said.